Litigators do not need to know how to create advanced PowerPoint litigation graphics. However, litigators do need to understand what a skilled artist is capable of producing using the program. 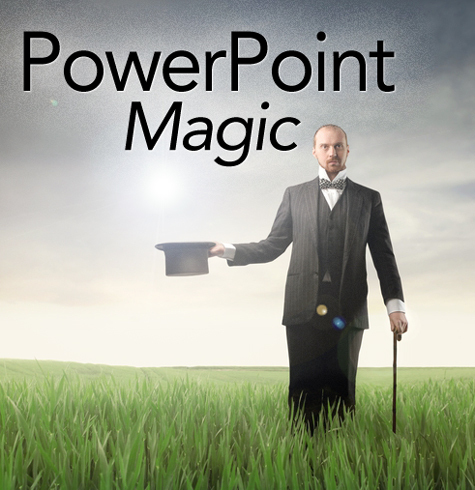 Most will be surprised to learn what's possible, and even veteran users of PowerPoint will think there's an element of magic in some of the presentations shared in this article. As a litigation graphics consultant who has been using PowerPoint since the 1990s, even I am amazed by the litigation graphics some artists are able to create using PowerPoint. Using real artistic skill combined with PowerPoint's built-in features unleashes impressive creative potential. What used to require 2D and even 3D animation just five years ago can now often be produced within PowerPoint faster and with a fraction of the investment that used to be required. Then, best of all, everything created is available for a litigator or their trial technician to present right from PowerPoint without any additional software or fancy hardware. In many cases, it can even be presented right from an iPad. Too often, people view PowerPoint as a program that helps someone put their speaking outline, usually in bullet-point form, in visual form on a series of slides. We have long counseled that the use of bullet point riddled slides hurts your trial presentation, especially when one reads bullet points. Fortunately, most litigators are changing with the times and paying attention to the good science that shuns the use of bullets. We have written before about combining illustration with PowerPoint animation to achieve great results and the four types of animation one typically sees at trial. The purpose of this article is to help you understand how far you can stretch PowerPoint. It's not the right tool for every situation, however when used the right way and in the right hands, it is a powerful weapon of advocacy. Below are 16 PowerPoint litigation graphics presentations (all converted into movies for easy online viewing) that most will be surprised to learn were created in PowerPoint by artists at A2L. We'd certainly welcome questions about how we created these graphics, and we would absolutely love to hear from artists who can do this kind of work well. 1. This PowerPoint litigation graphic prepared for a recent antitrust trial is really a timeline in an unusual format. To emphasize how difficult it is to run an airline in the United States, a long list of bankruptcies is set to scroll like movie credits in PowerPoint. Interested in more timeline examples, download our timeline book (opens in new window). 2. This PowerPoint litigation graphic was used by an expert in a patent case to explain how the design of a ship's hull affected its performance. Interested in patent litigation graphics, download our patent litigation toolkit for litigators (opens in new window). 3. This clever PowerPoint makes good use of motion path animation and illustration to explain video playback patented technology. The use of "tags" helps explain the concept of keyframing in video encoding and playback in a jury-friendly way. 4. PowerPoint can even be used to show deposition clips. If you have more than a handful of deposition clips, you would probably want to use Trial Director to show them, but for a limited number or a group of short clips, PowerPoint does a good job. 5. This A2L PowerPoint litigation graphic, explaining how hydraulic fracturing (aka fracking) works, has been viewed more than 180,000 times on YouTube. The use of dials and animation of the drill head are not what you would normally expect from PowerPoint (link set to start video at 1:27). The voiceover audio is embedded into the PowerPoint. 6. This simple traffic cop animation explains the roll of an operating system in an easy-to-understand format. By using illustrations combined with animation in a PowerPoint litigation graphic where small parts are varied, an animated or cartoon effect is achieved within PowerPoint. 7. In a very simple way, this chart uses PowerPoint to show how Fahrenheit and Celsius scales compare to one another. Like many of the examples in this article, it's surprising that the graphic was created in PowerPoint. 8. This chart shows how a phone dialing system works and is designed for a judge's viewing in a claim construction setting rather than jury viewing during trial. Again, it is animated and presented entirely in PowerPoint. 9. Even a surgical procedure can be shown using a combination of illustration and PowerPoint animation techniques. Such work can make courtroom animation economically feasible in even small cases. 10. Here, to help demonstrate that a doctor was reading films too quickly to maintain an appropriate standard of care, an analogy to speeding is created in PowerPoint. 11. For a claim construction hearing, this PowerPoint was created to show how a drug delivery system works in a hospital environment. Claim language is shown in conjunction with the PowerPoint litigation graphic to give it context and meaning. I think it is a smart use of animated graphics juxtaposed with claim language. 12. Here, the removal of a nuclear power plaint reactor pressure vessel is shown. By creating illustrations that are shown in quick succession, the effect of animation is achieved in PowerPoint without having to go through the expense and complications of creating an animation. 13. Using PowerPoint's native interactive features, one can create hot-spots on a graphic that show a document or another image. This means that images do not need to be shown in linear order. This becomes useful when one wants to use a timeline built in PowerPoint and still have the flexibility to jump around to other documents. Interested in more timeline examples, download our timeline book (opens in new window). 14. Explaining complicated patent terms with PowerPoint litigation graphics becomes much easier when coupled with a straight-forward analogy like the one shown here. Simply a local bus and remote bus (computer communication systems that move data between components) bear similarities to traffic patterns that are easy for a jury to understand. Interested in patent litigation graphics,download our patent litigation toolkit for litigators (opens in new window). 15. Making heavy use of illustration, this PowerPoint serves as a timeline that explains how a worker was electrocuted on a job site and went undiscovered for some time. 16. Finally, here is an example of how one might use the interactive features of PowerPoint to tell a complicated story in a mortgage-backed securities case. The user is free to click on any of the state icons to view developments in other locations in any order they choose. Using PowerPoint litigation graphics will solve many trial challenges, however one needs to know when to use PowerPoint, Flash, a physical model, a trial board or a more sophisticated 3D animation program. To make that judgment, ask your litigation graphics consultants or contact A2L. Why shouldn't I just make my own PowerPoint slides?